It's finally 2016, and this is definitely the year that the S160 will be released! It's been a very long road to create this locomotive with the level of authenticity that we desire in our add-ons. We've spoken to people from all over the world gathering information and it's been quite a chase to make sure the details are just so. But after spending many more hours than normal creating the alternative components and set ups we are now in a position to start making the chosen liveries and over the next couple of weeks we will reveal them all in a few blog posts. Following on from the last images of the preserved USATC Grey livery here is a picture of 4 versions of the same livery. From left to right the coupling/brake types are: Buckeye/Air (USA), Willison/Air (USSR), Hook/Vacuum (UK) and Hook/Air (Anywhere!). Each one of these has numerous options and the Hook/Air version has a specific option for Polish dials. 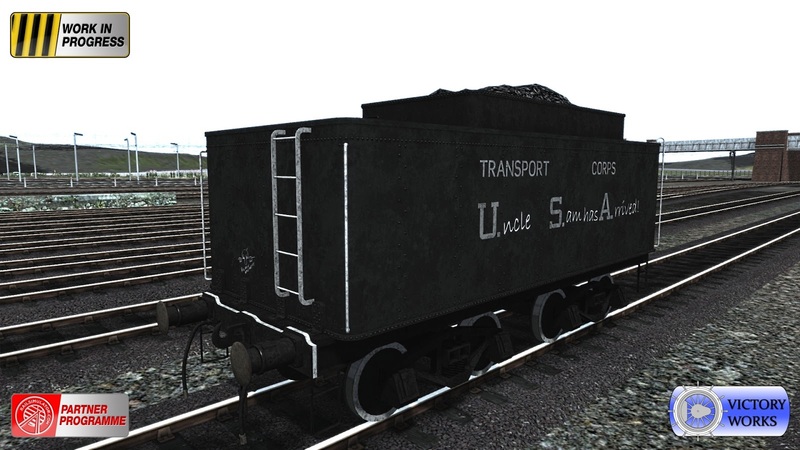 Next up is a static loco and tender (non-drivable) that represents the S160 as they were shipped from the USA. Covered with wooden packing and loaded aboard ships (usually on top) all of the markings were painted out to deny easy identification from enemy shipping and submarines. Can you guess at how long the working life of an S160 was intended to be? Just 90 days! The locos were produced en-mass and expected to be disposable and used for a single purpose, to help the Allies to move equipment, supplies and troops all over the world. It's remarkable that so many survive to this day on preserved lines - and even more remarkable that some were still in daily service up until the 1990's! Below is the typical S160 as seen all over the world during World War 2, worn and very well used. This livery will also be available in all 4 set ups as listed above. Some tenders had additional lettering..
.. and as with anything in WW2, US soldiers liked to add graffiti when given the chance. 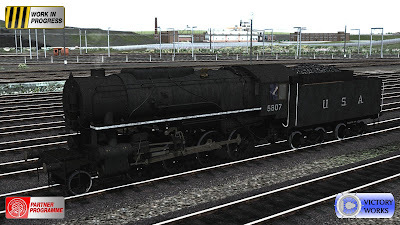 Is there a livery that includes 6046? 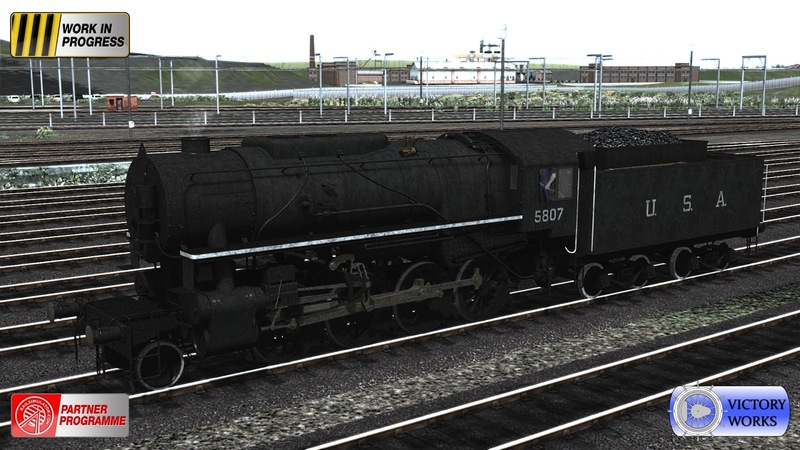 The problem with 6046 is that the livery is not the only change. It has been totally rebuilt and is like no other S160, past or present. We may do a "tribute" livery depending on time using the model we have and getting it as close as possible to the real one. 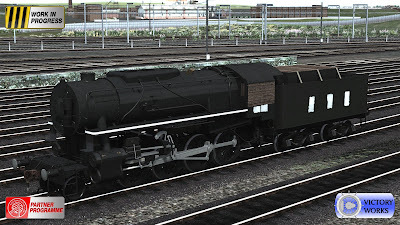 Yeah, I noticed the cab is different, if I remember right it's left hand drive.... And I do hope you have time to do a livery for her, thank you. Will all the Americanized models have buffers? Most ran without them in the states and had a pilot. 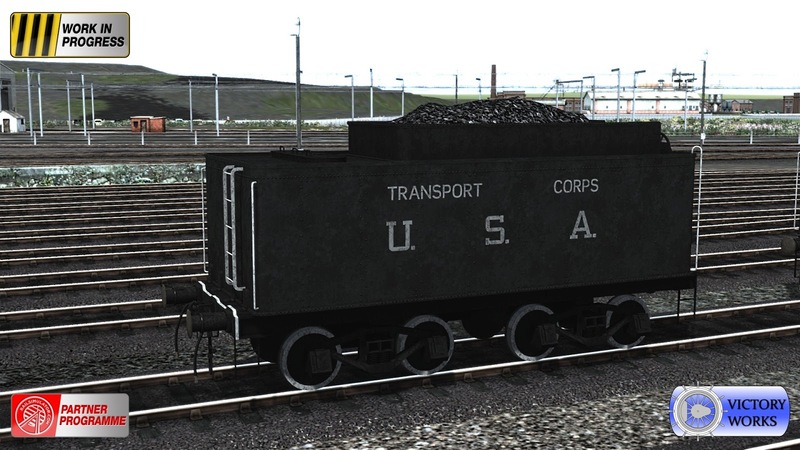 Specific US liveries will be without buffers (as will USSR which also use an automatic coupler). The WW2 variant although produced in the US were factory fitted with European style buffers due to their intended usage abroad - however they also had buckeye couplers so they could easily be loaded onto ships in the USA - hence the appearance of the shipped version above. Okay sounds good. 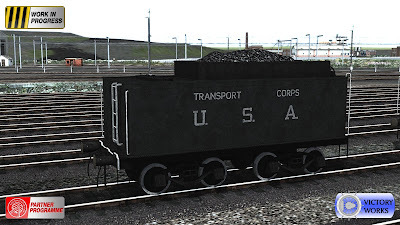 One thing though, will the specific American versions have a pilot (Cowcatcher as is it called in the UK)? It would be very odd to run without one in the states. All content copyright VictoryWorks 2014. Simple theme. Powered by Blogger.